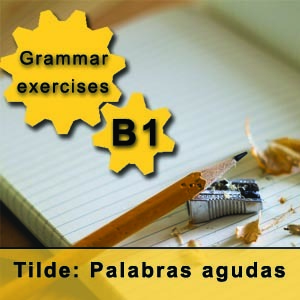 This grammar exercise, which is a perfect complement to our Spanish grammar book, will help you practice the accent mark rules in Spanish. Accent marks are a tricky part of the Spanish writing system, and many students get confused when it comes to placing the accent mark in a word. Where should I place the accent mark? Does this word have an accent mark at all? Confusing as it may seem, it is very simple to make it right, as the students in our Spanish school in Madrid know. 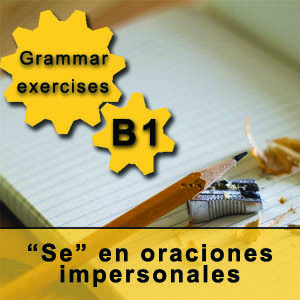 The only thing you have to do is to have some basic accent mark rules in Spanish in mind. In fact, there are only two steps you have to take. Step 1: Where is the accent in the word? First, you have to identify which syllable carries the accent of the word. If you hear the word, one syllable will be stressed more than the rest. For example, in “Es-pa-ña” the stress is in “pa”, in “Ma-drid” the stress is in “drid”, and in “A-mé-ri-ca”, the stress is in “mé”. 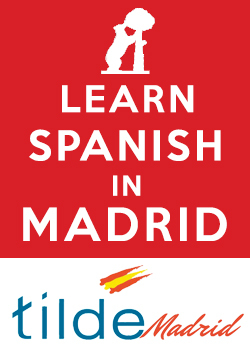 The stressed syllable is the last one (these are called “palabras agudas”), as it is the case with “Madrid”. The stressed syllable is the next-to-last (these are called “palabras llanas”), as it is the case with “España”. The stressed syllable is the third-to-last (these are called “palabras esdrújulas”), as it is the case with “América”. If the word is “aguda” (the stressed syllable is the last one), and it ends in vowel (a, e, i, o, u), “n”, or “s”, it has an accent mark (for example, “camión”, “café”, “quizás”), otherwise it does not have an accent mark (for example, “español”, “dormir”, “Madrid”). If the word is “llana” (the stressed syllable is the next-to-last), and it ends in vowel (a, e, i, o, u), “n”, or “s”, it does not have an accent mark (for example, “amigo”, “resumen”, “lunes”), otherwise it does have an accent mark (for example, “difícil”, “azúcar”, “lápiz”). If the word is “esdrújula” (the stressed syllable is the third-to-last or further), it always has an accent mark (for example, “sábado”, “teléfono”). Step 3: Practice the accent mark rules in Spanish! Now you can put what you learned into practice with this free grammar exercise. This one is focused on words which are “agudas”, but the next one will be focused on words which are “llanas”, the next one on words which are “esdrújulas”, and the last one will be a mix of all of them. If you have any question regarding this, please do not hesitate to contact us using the comments box, in our Madrid Spanish school we are always happy to help!